"Serving the poor is Serving god"
We feel immensely happy and proud of being part of Shree Jayaganapathy Educational Trust since 1997. 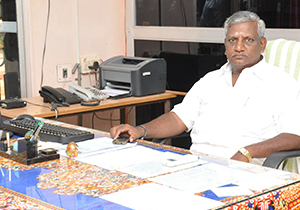 Our Institution is one of the oldest in Cuddalore District. It has been imparting quality education and has many distinctions to its credit. Our Educational Trust is offering Programmes in Management, Accountancy, Commerce, Language and Literature and all basic sciences including UG & PG Programmes in Computer Science.Thousands of our Alumni are placed in good positions in India and Abroad. Education is the ability to meet life situations. With resistance and diligence combined with knowledge and intellect one can sour to any extent of desires. Thiruvalluvar Arts and Science College is not only producing Degree holders but the bright young men and women are equipped with enough talent to foray into the world with an all round development of personality. 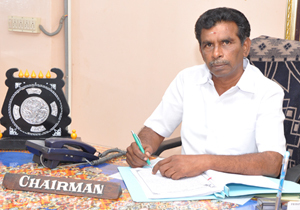 Shree Jayaganapathy Educational Trust is one of the best institutions in and around Cuddalore district. Our college has the state of the art facilities for teaching, research and development. The students who have passed out of our college have proved their mettle in various fields. I personally appeal to all the students of Cuddalore district to make use of the facilities here and improve their skills.